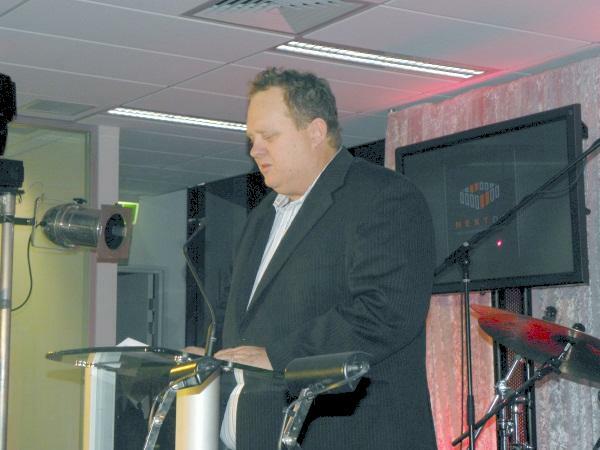 Megaport chief executive, Bevan Slattery. Megaport has broadened its scope to network-as-a-service through a partnership with bandwidth performance platform, intabank. The network interconnection service provider has signed a wholesale peering exchange and connectivity agreement with intabank. Under the terms of the agreement, the company will provide its intabank IP Transit brokering and trading platform as an on-demand peering and connectivity service to organisations connected to Megaport infrastructure. Intabank, chief executive, Andrew Sjoquist, said the agreement hit an important milestone for the networking industry, particularly for organisations who want more flexibility and choice when it comes to network connectivity. "There is a big shift happening in the provision of traditional telecommunications and network connectivity," he said. "As the dynamics of networks and applications delivery accelerates to 'as a service' models, so too are the demands of customers who want more choice, greater flexibility, secure data management, and better costs control on network services." According to a company statement, Megaport and intabank can now offer organisations such as financial institutions, healthcare and the public sector a high level of flexibility on network connectivity. Customers maintain full control over their own data and storage, while privacy and security of data is assured as it transits through private network tunnels via Ethernet connections intra-state, and virtual cross connect (VXC) technology inter-state. Sjoquist said that by applying the cloud philosophy to network infrastructure, intabank offers a unique value proposition to organisations. "By virtualising the network, customers can achieve much more dynamic use of their infrastructure with added flexibility according to their requirements at any given time." Megaport provides a range of products including its VXC and own internet exchange , where ISPs share internet traffic. It is able to provide connectivity between data centres with provisioning timelines of below 2 minutes. Megaport, channel and partner manager - Australia, Joshua Munro, said the company was excited to announce its partnership with intabank, who added some innovative solutions to Megaport's Layer 2 offering. Powered by ASE, a specialist cloud provider, intabank is a provider of on-demand connectivity and peering services, enabling organisations to buy and sell excess Internet bandwidth and Private Network connectivity with no long-term contracts and for a fraction of traditional connectivity costs. Intabank also provides connectivity for additional services such as burst bandwidth; greater agility around how network infrastructure is managed on an as-needed basis or as required by the applications being run; and a global marketplace for buyers and sellers of excess bandwidth.